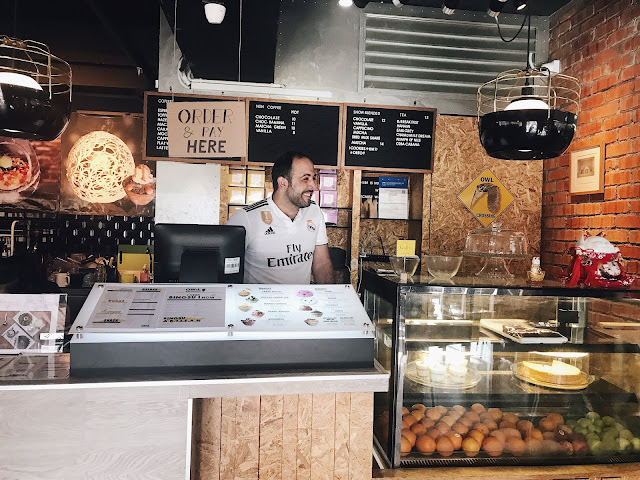 This cafe serves foods like no other. I went here this evening and felt like I just need to make a blog post about it. So here it is! 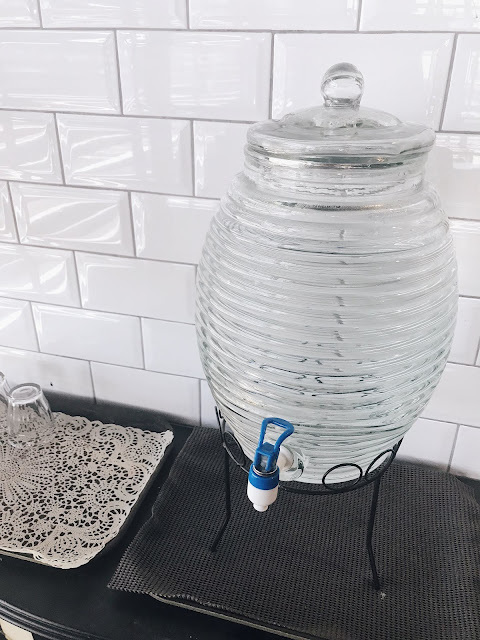 My first cafe review. 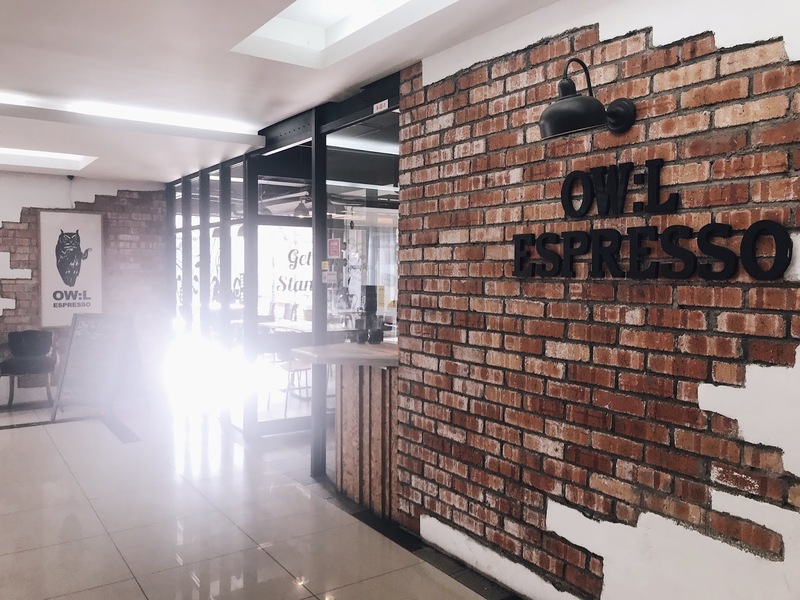 Owl Espresso is located in Subang Jaya and is very famous for their wide variety selection of desserts, especially their Bingsoos, which are basically Korean shaved ice desserts. I came here only to try out the cute Cotton Candy Bingsoo. Yep, get ready for extreme cuteness! 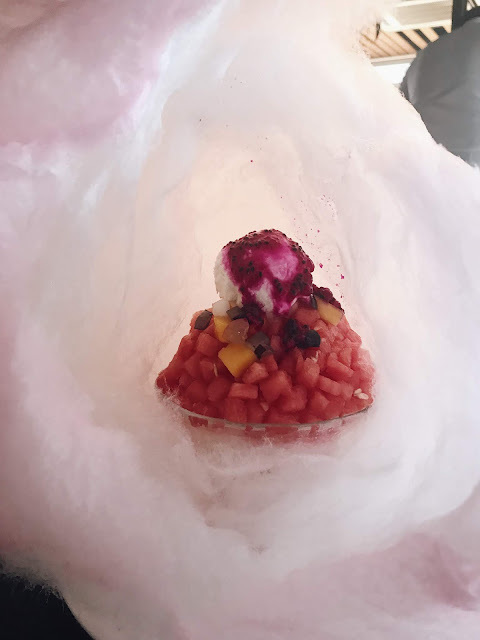 Bubu the pink cotton candy with watermelon bingsu. I chose the regular size (RM28) which is enough for 2-3 people. The large one is selling for RM50. (price is slightly different for each type of bingsoos) You can tear the cotton candy or just lift it up to get the bingsoo. Give it to me of course I'll tear it lah hahahahaha. If you're familiar with Hanbing's Bingsoo, Owl Espresso's shaved iced tastes pretty similar. They have the same milky taste and texture wise is very smooth compared to our Malaysian ABC haha. Very delicious. 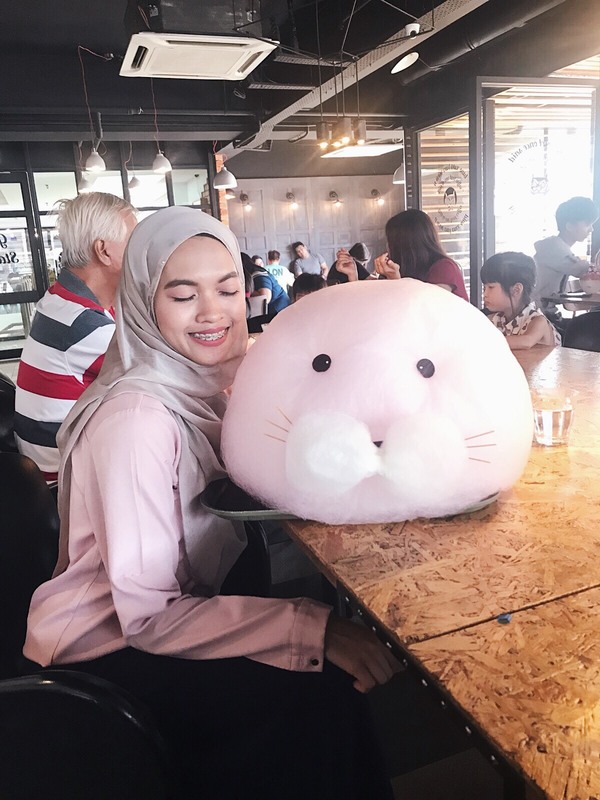 Bubu himself just tastes like normal cotton candy. There are so many choices but another two that are famous is Panda cotton candy and Crystal Bingsu. You have to check out their instagram for the pictures. The Crystal Bingsu is stunning. 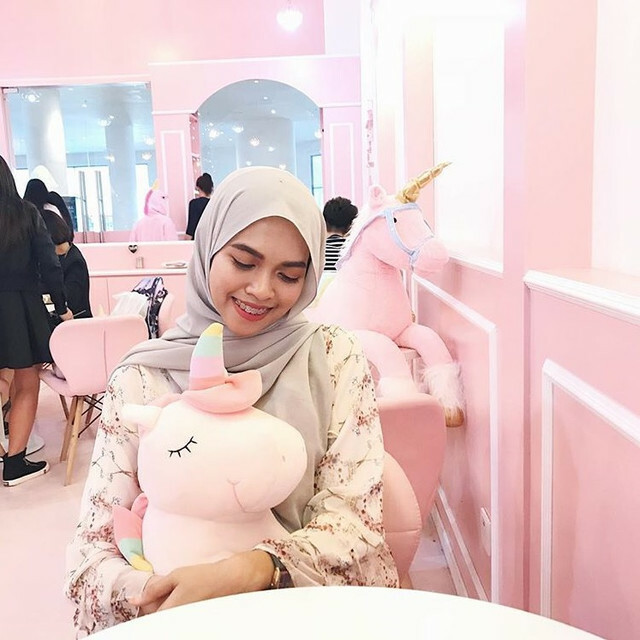 No shame, I must admit that the only reason I picked Bubu is because my current instagram theme is pink HAHA. No regret though because he is super fluffy and adorable, plus watermelon is my favourite fruit! This cafe displays relaxing environment with black walls and dim lights. They also provide outdoor seating area for smokers and vapers, so just bring along your friends! 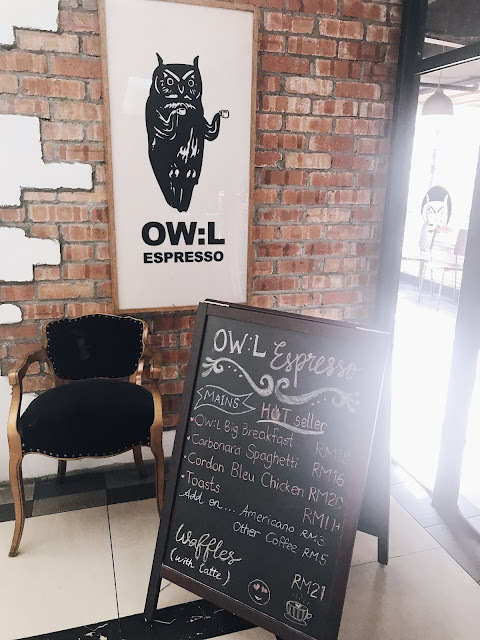 They also serves other desserts like waffles, cakes, toasts and heavy meals like Pastas, Kimchi Fried Rice and Cordon Bleu Chicken. 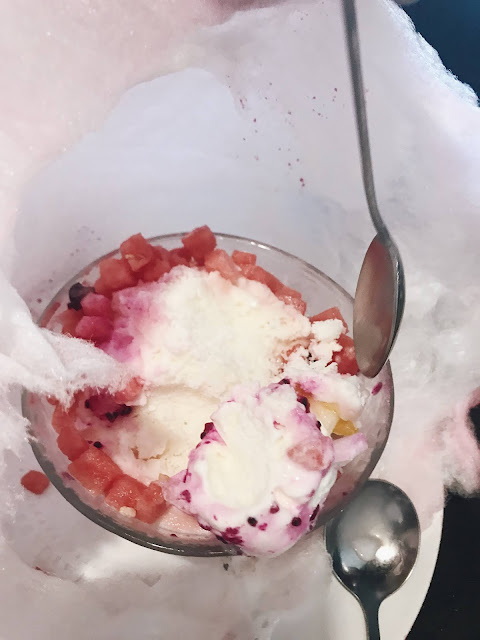 I can't comment much about the foods as we only got to try the Bubu Bingsu, but judging from that alone, it is definitely worth it. Would love to come back!